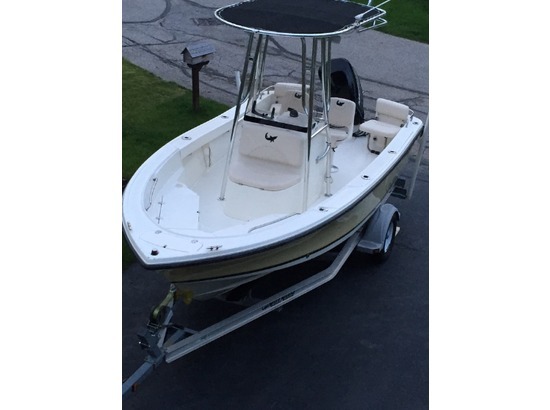 Please call boat owner John at 216-225-7899. Boat is in Chagrin Falls, Ohio. Skis, ropes, extinguisher, bag of cleaners and drive oil. Cockpit cover, bow cover and full BEAUTIFUL camper top only used about three times. One side took some storm damage the first day i had it in the water this year, the other side is in great shape, 8" crack on the top of the fiberglass above the rub rail and a piece of the window glass shattered out. Other than that, just a bit scratched up. 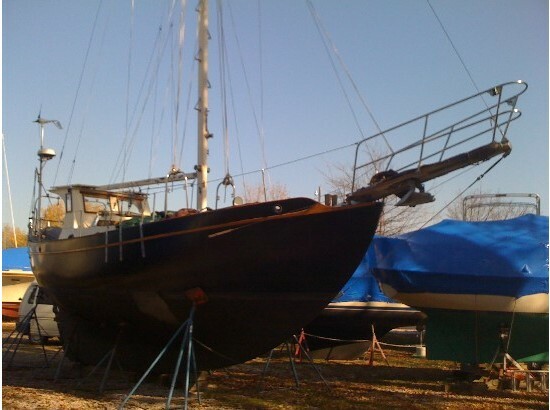 A little fiberglass or gel-coat, and it is one beauty of a boat even for being 14 yrs old. Just fired it up to winterize and fog the motor and check the out drive, RAN GREAT Has decent head unit new with blue tooth. Interior in great condition as well as the snap in carpet. Gets up and goes with the 220hp 5.0L motor. 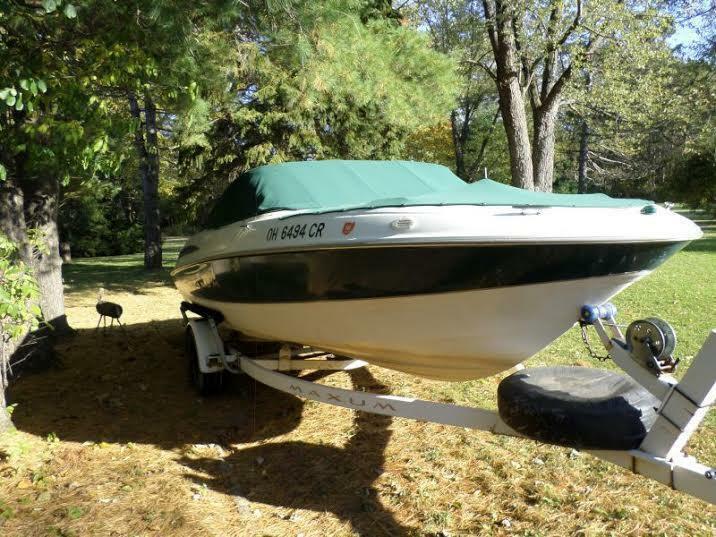 looking to sell for a small project boat or a parts boat. If you know to do fiberglass painting or gel-coat, this boat is for YOU .Please call with any questions you may have. 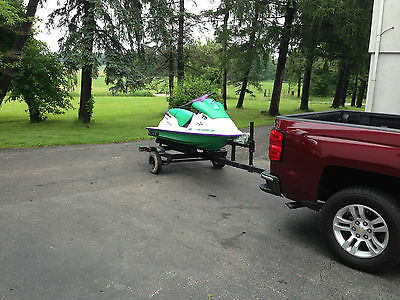 Trailer good, newer tires lights working and surge brakes work great. Thanks again, John. Recently rebuilt a few weeks ago. 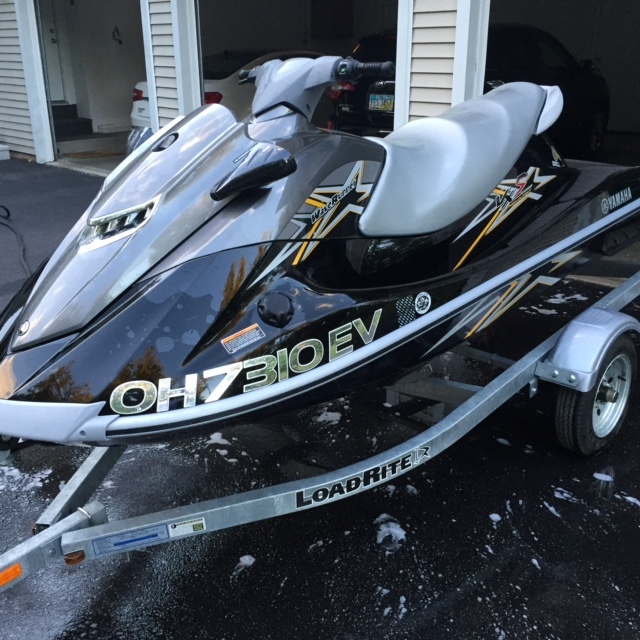 looking to get a brand new Sea Doo. trailer is considered homemade. everything is registered in my name. must come to me and i only accept cash. thanks. shoot me an offer if needed. 1987 Sea Ray 32 Pachanga (CURRENT OWNER OF 4-YEARS) LIGHT USAGE AND NICELY EQUIPPED THIS 1987 SEA RAY 32 PACHANGA OFFER A GREAT OPPORTUNITY -- PLEASE SEE FULL SPECS FOR COMPLETE LISTING DETAILS. Freshwater / Great Lakes boat since new this vessel features Twin MerCruiser 454-Magnum Gas Engine's with Alpha I Sterndrives (3-Blade Stainless Steel Propellers) and only 404 original hours. 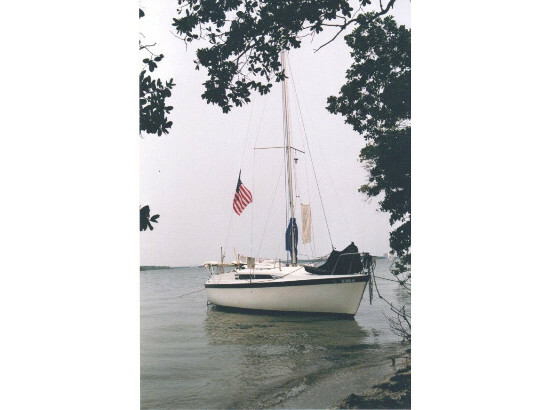 Notable features include but are not limited to the following: 2005 Hi-Tech Marine Tri-Axle Trailer, Air-Conditioning, Head, Garmin GPS/Chartplotter (Color), 30-AMP Dockside Shorepower w/Built-In Battery Charger, Power Engine Hatch Lift, Snap-in Snap-out Cockpit Carpeting, and MUCH more! Broker Notes: Located off-site and shown by appointment only.